Caliditas is a trading card game where the key attribute is the temperature of the cards. The original version was made for Godot Community Game Jam - June 2018 within three days. The original version is still available. 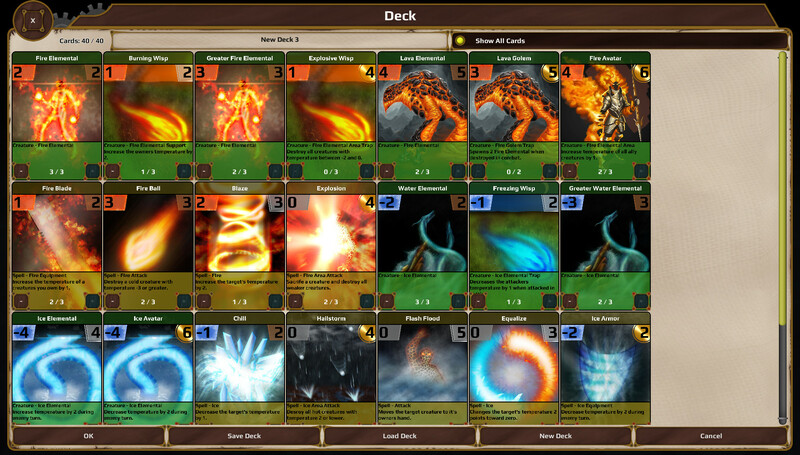 The alpha version has a lot of improvements like more cards, a better gui and also networked multiplayer. In this card game the key attribute is the temperature of the cards. Every creature has a temperature and can only attack and destroy weaker creatures of the opposite element. Therefore the temperature attribute serves as combined attack and defence value. 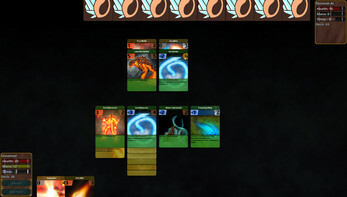 In this card game the key attribute is the temperature of the cards. Every creature has a temperature and can only attack and destroy weaker creatures of the opposite element (both of them are destroyed when absolute temperature values are equal). Therefore the temperature attribute serves as combined attack and defence value. In addition to creatures there are also spell cards. Many of them can alter the temperature of your or your enemy's creatures. If the enemy has no creatures on the battle field to protect him you deal damage to him equal to the absolute value your current temperature. This means you can't reduce your opponent health while using a balanced set of ice and fire creatures. Your creatures attack right after you end your turn. They chose to attack a random creature and prefer weaker creatures as the attacker is destroyed as well if both fighting creatures are equally strong. If there are no creatures left after your attack you may deal damage to your opponent, but only up to 10 points per turn. Both players start with 20 health. If a player is hurt he draws an additional card next turn. If his health drops below 50% for the first time he draws 4 cards instead. 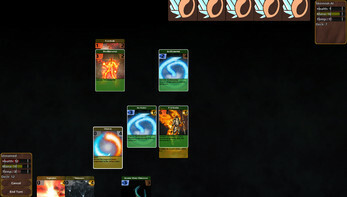 Otherwise the player draws one card at the start of his turn. Cards require mana in order to be played. 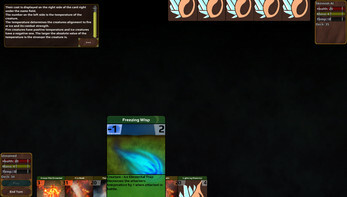 Each player starts with 3 mana points and gets one more point for each turn passed. There is also an in-game tutorial now with further informations.